Just seen a YouTube video of this new truggy looks badas$...Anyone have one yet??? Any thoughts ??? The Basher Berserker was recently on sale at Hobbyking for $299 in ARR trim. This was too good of a deal for me to pass up so I got one about 10 days ago, and I wanted to post my impressions since there are little or no real reviews out there and nobody seems to care enough to write about this car. From my research its basic design is available on a production menu from a Chinese manufacturer, meaning an extremely similar car (albeit with allegedly lower quality parts, no carbon fiber or anodized aluminum) with different electronics has been sold under other names like HSP Sea Rover. That vehicle has gotten some mediocre reviews and, from what I can tell, came with a smaller motor than the Berserker and lower quality construction. My immediate impression was astonishment because it was giving me 90% of the fun of my old HPI Savage Flux HP at less than 50% of the price. The trackstar ESC is good and works with a program card I already have, and the ginormous motor is really quite fast on a cheap turnigy 4S pack. Please note that while half of the driving is done by me, the other half has been done by my 9 year old and his friends who have hit curbs, fire hydrants, etc at speed. I thickened my shock fluid but the stock springs are just too stiff. My diffs are well lubed but need to be thickened. Stock electronics are performing admirably, no heat issues. I lowered and leveled the ride height but it's lifting the inside rear and flipping in tight corners. The combination of a bad suspension setup, giant tires on long arms, and 4WD means traction rolls are very violent and turn into acrobatic tumbles easily- this is gonna be a problem when I put it on the track. Yesterday I bought some truggy tires but have no idea if the track width is appropriate for the truggy racing class, though at least they should work better on non-grass surfaces. Should be interesting to see if the car actually has any potential to be track driven or if its basher wackiness will be too much. I previously compared this car to my old Savage Flux HP because of its massive power on 4S and super fun bashability, but it has one notable difference in use: I break something every other pack. It's never anything major, and I bought a good $90 in spares so I'm pretty well stocked for everything that's happened so far, but it's clear that this plastic is not as durable as more expensive vehicles. Overall I am really enjoying it, with the caveat that this is a hobbyking product and that makes it a tinkerer's delight but much less sorted out of the box than a big name competitor. https://www.youtube.com/watch?v=QsQcDpufCEc Cruising around the baseball field. Last edited by altitudelow; 03-23-2017 at 08:40 PM. one notable difference in use: I break something every other pack. It's never anything major, and I bought a good $90 in spares so I'm pretty well stocked for everything that's happened so far, but it's clear that this plastic is not as durable as more expensive vehicles. 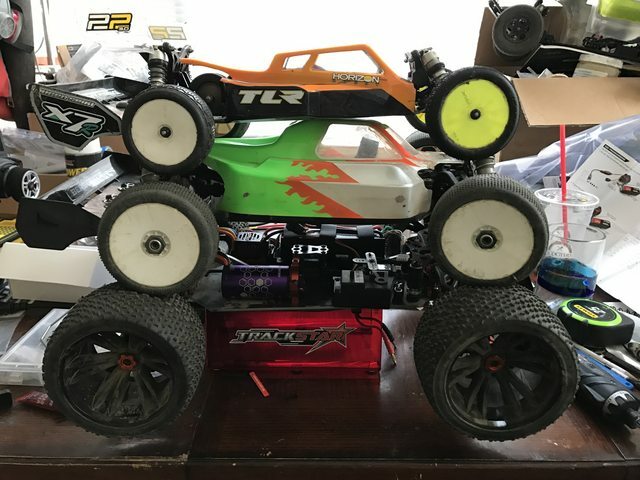 With your experience could you advice for a valuable 1/8 truggy with same bashing fun ability ?